يشكل فندق مانترا مارينا بموقعه الممتاز في كوينز تاون نقطة انطلاق جيدة لاستكشاف هذه المدينة النابضة بالحياة. يقع مركز المدينة المثير على بعد 5 km فقط. كما يمكن الوصول بسهولة إلى The Barn, The Remarkable Sweet Shop, مطار كوينزتاون. إن الخدمات الممتازة وحسن الضيافة العالي في فندق مانترا مارينا تجعل إقامتك تجربة لا تنسى. تتضمن الميزات الرئيسية في هذا الفندق: واي فاي مجاني في جميع الغرف, مكتب الاستقبال على مدار الساعة, مرافق مخصصة لذوي الاحتياجات الخاصة, تسجيل وصول/خروج سريع, تخزين الأمتعة. يمكن للنزلاء الاختيار من ضمن مجموعة من الغرف المصممة بعناية لتعكس جواً من الراحة، والتي يتجاوز عددها 27. يقدم الفندق خدمات رائعة كمثل مسار جولف - ضمن 3 كم, حديقة لمساعدتك على الاسترخاء بعد نهار طويل من النشاط والتجوال في المدينة. إن فندق مانترا مارينا هو خيار ذكي بالنسبة للمسافرين إلى كوينز تاون، بما يوفره من إقامة هادئة ومرحة. يُرجى العلم أنه يجري حاليًا بناء مرسى على واجهة بحيرة مانترا مارينا. ساعات العمل تبدأ من الساعة 9 صباحًا حتى 5 مساءً من الاثنين إلى الجمعة حتى يوليو 2019 تقريبًا. قد يكون هناك زيادة في مستوى الضوضاء في بعض الأحيان خلال هذه العملية وستكون أعمال البناء مرئية من شقق Lake View Apartments الأمامية. 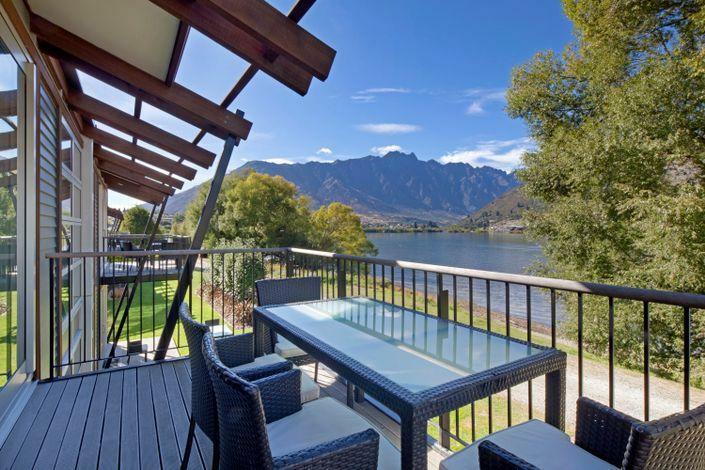 About 6km away from Queenstown but a short commute to the central city. Staff we very acommodating as we requested an upgraded from a Studio room to an Apartment style living and it was worth it. Breathtaking views of the lakeside and very spacious. 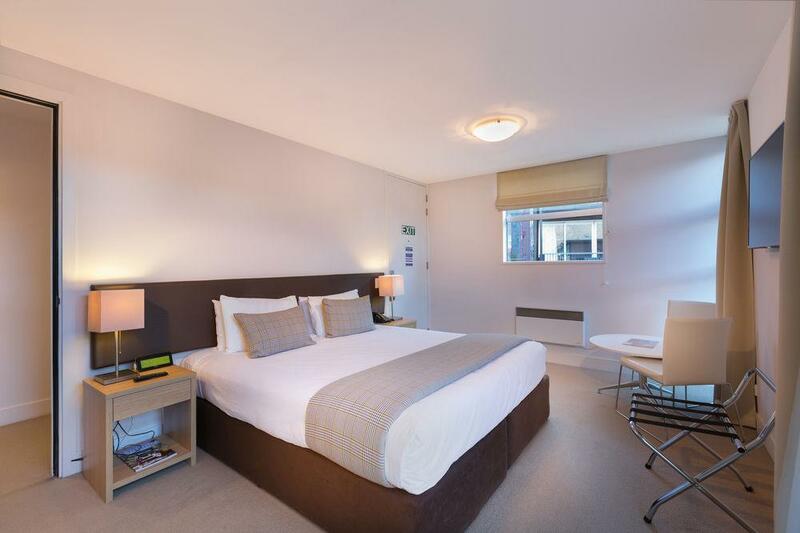 Full kitchen facilities, laundry, separate lounge and balcony. Can’t walk to town or to any cafes/restaurants. Great Lake views though. 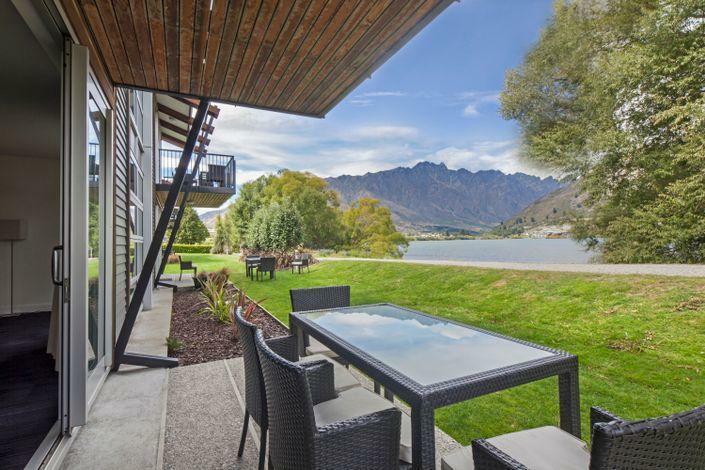 It was a last-minute booking, but it was not a bad idea afterall, especially when one walks out of the room to take in the fresh winter air and the breaktaking view of The Remarkables behind Frankton Arm. That was the highlight of my entire stay. Though we got a first-floor room, the room was spacious and the bed was comfy. The amazing thing was the heated toilet floor, which made me just want to walk around barefoot in the toilet. It was a really great stay! The gentlemen at the front desk was very patient, handled our room concerns gladly and promptly! Glad we got the top floor as the marina are building and it affects the views abit, the hotel can’t help that though. The room was big and up to standard. Can’t thank the guy at reception enough, he made our experience even better. So helpful. This hotel exceeded my expectations. The microwave and plates and cups in the room were a nice touch. The king size bed was comfortable and there was adequate parking space during my stay. Laundry facilities also available next to carpark area. Had a 2 bedroom apartment which was huge and had everything you needed including a full size refrigerator. View was great,parking was fine and the aircon worked well. Downside was there were only stairs,which wouldn't be great in wet weather. Also the shower was in the bath which was quite high and had a wide lip on it. This made it difficult for me as I am not tall. I was able to use the stand alone shower in the 2nd bedroom. The manager went our if his way to provide me with a pedestal fan to help with my tinnitus. This apartment has a beautiful lake view with very comfortable living room and kitchen. It’s located near airport, a good choice if you are heading for north or south the next day. Room is spacious, with sufficient amenities. Check-in is also quite simplified after opening hours. Pros: Everything you need in your room. Comfortable. Outdoor BBQs and lovely lakeside location. Plenty of parking. Near to Queenstown, 10 minutes in the car. Nearby retail shopping centre and cafes as a cheaper alternative to eating/buying in Queenstown. Cons: a lot of early morning road noise as hotel is on the main road. No hanging space in wardrobe as it was full of duvets (doonas). Position of our hotel room meant no privacy, had to keep the curtains closed. Recommend getting blinds. The good -Close to airport and queenstown. Free parking. The bad- No air con. Only heater provided. Moths and mossie in the room when the windows are open. Constructions outside the hotel but not too noisy. The apartment is abt 10 min drive from queenstown. There is only 1 cafe within walking distance but Mac & some restaurants are available in Frankston which is less than 5min drive. The apartment has a beautiful lake view & we enjoyed our stay there. Bedroom and bathroom very modern and clean. We got a villas with lake view and it is very nice. There are daily housekeeping and well-equipped kitchen also a living room and balcony. Too bad the location is not in the city center that we need to spend like about 25-30 dollar for each trip to/from city center. 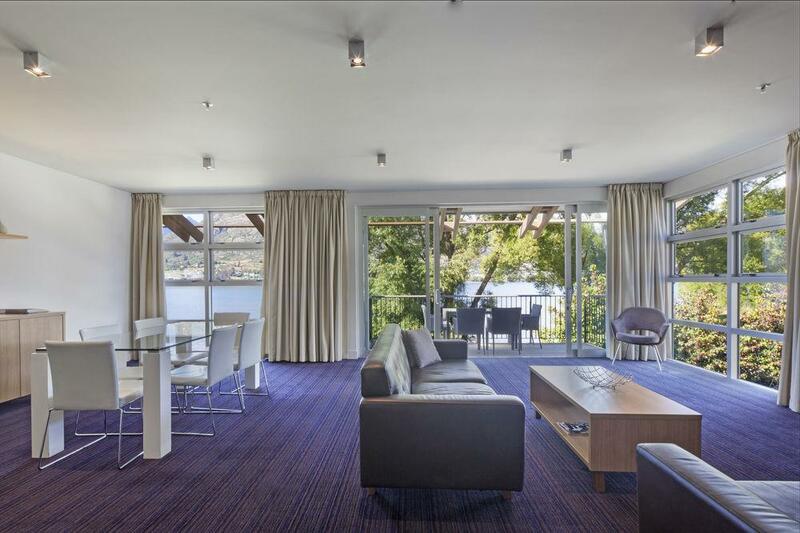 Located near Queenstown Airport and few minutes drive from Queenstown, it's away from the bustle of the town. It's next to the lake, offers a great mountain/lake view. Love the comfy king-size bed. Room is modern, well equipped and very clean. Room heater and bathroom floor heater are very effective, perfect for the winter. Only slight problem is that our room has a door to adjacent room, soundproofing wasn't very good. upgraded to a lake view luxury room at second time booking with the hotel for free. reception do listen customer's voice and take action swiftly! the room changed was quit clean and has every thing you need. will book again next time. Stayed in hotel room. Got everything that I need for my short stay. No need to drive as it is close to the bus stop.. easy access to Queenstown trail.. short walk to the Boat Shed café.. definitely its worth the value! This was a lovely apartment to stay in, but there were a couple of unexpected issues. Firstly, the hotel is not actually in Queenstown, it's in Frankton. 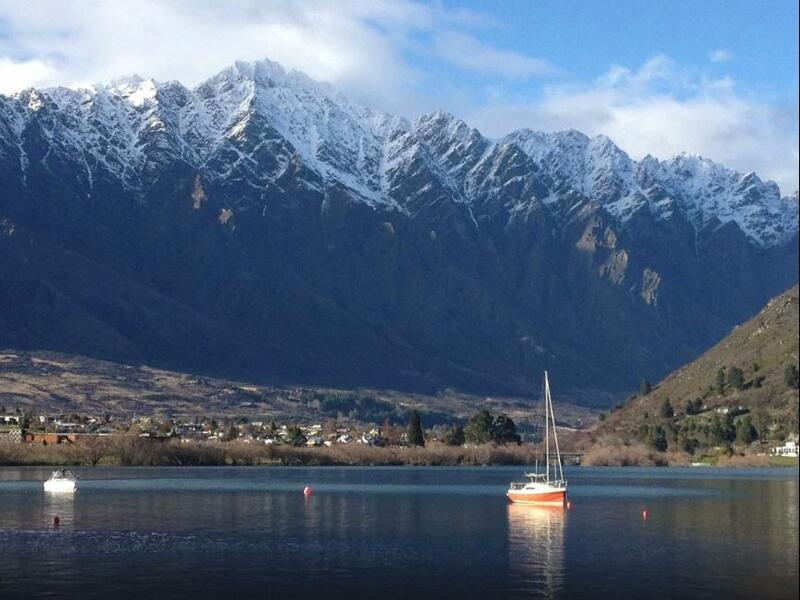 Queenstown is only a short drive/bus away, but I wouldn't say it was "as advertised". Secondly, there was a glitch in the booking that meant we were locked out of our apartment a day before we were supposed to exit - that was easily rectified but we didn't get the clean towels we needed on that last day. Still, I'd definitely go back there again. We had 4 nights in two bedroom apartment unit having all big windows showing gorgeous blue of Wakatipu lake. Well equipped with dishwasher, washer and dryer. It was an absolutely beautiful and confortable place to enjoy family vacation.